The "Cook the Books" potluck Friday night was a success! There were some really creative dishes that I am excited to share with you later this week. 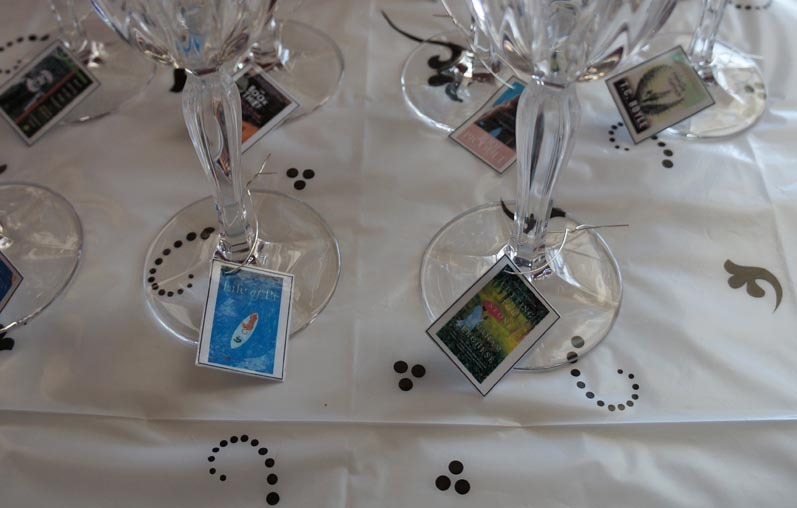 I still need to go through and edit the photos, but for now I wanted to share this quick DIY I did for the night–these book plate wine charms. 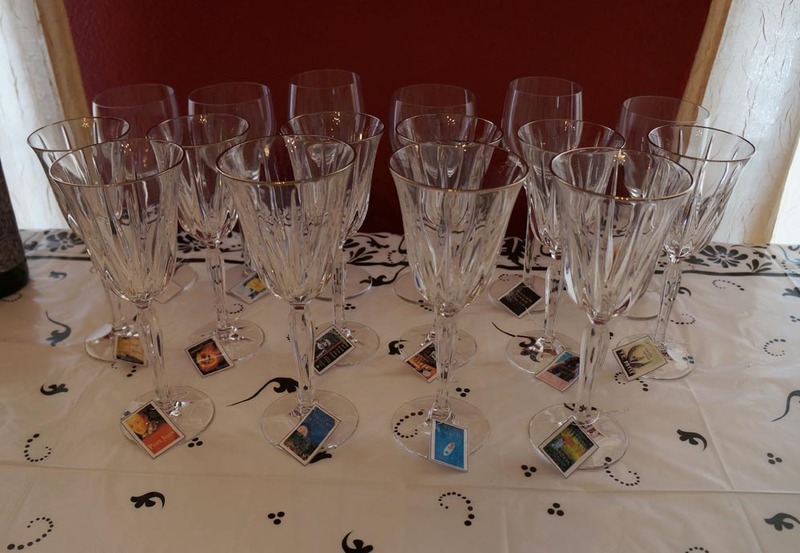 They were a really cute addition to the book club theme. All you need is laminate sheets, wire and color photocopies of the book images. I used images of books we actually read in the club. I made them 1 1/2" tall. All you need to do is place your images in between two laminate sheets, smoothing them all in place with your hands. You'll need to be careful when cutting out the book images. Make sure to leave a border around your image so the laminate stays sealed around the image. Once they were all cut out, I used an exacto knife to puncture a hole in the corner. Cut pieces of wire and twisted the charm around the glass stem. Ta-da!